A Mumbai BJP worker named Suresh Nakhua on Saturday filed a police complaint claiming that Matondkar's remarks were"anti-Hindu" and had hurt their community's sentiments. Further, Urmila Matondkar dismissed the complaint against her as bogus and baseless. A BJP worker registered a police complaint in which Matondkar was accused of making anti-Hindu remarks. Responding to the allegations, the Congress leader said that she is being ‘victimised’ just like many others during the BJP rule. The police complaint was made by a Mumbai BJP worker named Suresh Nakhua on Saturday. In the complaint, Nakhua claimed Matondkar’s remarks were”anti-Hindu” and hurt their community’s sentiments. Nakhua added that the complaint was made after he watched an interview by Matondkar in a news channel in which she said “Hinduism is the most violent religion in the world”. He also named Congress President Rahul Gandhi and a journalist in the complaint. 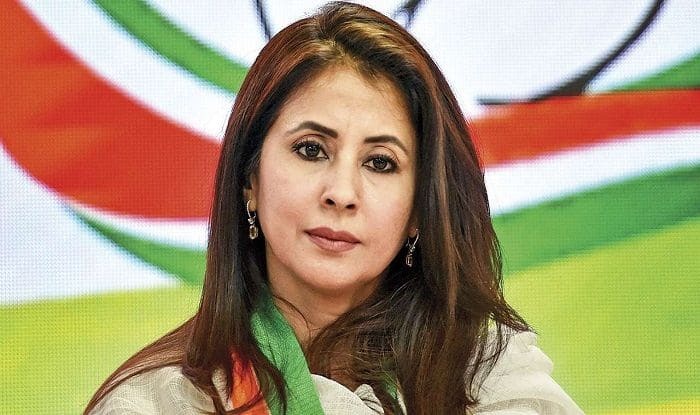 On March 29, Bollywood actress Urmila Matondkar was named as the Congress candidate for the Mumbai North Lok Sabha constituency. She will contest against the main rival, sitting Bharatiya Janata Party MP Gopal Shetty. The decision of the Congress’ Central Election Committee was announced by its General Secretary Mukul Wasnik.